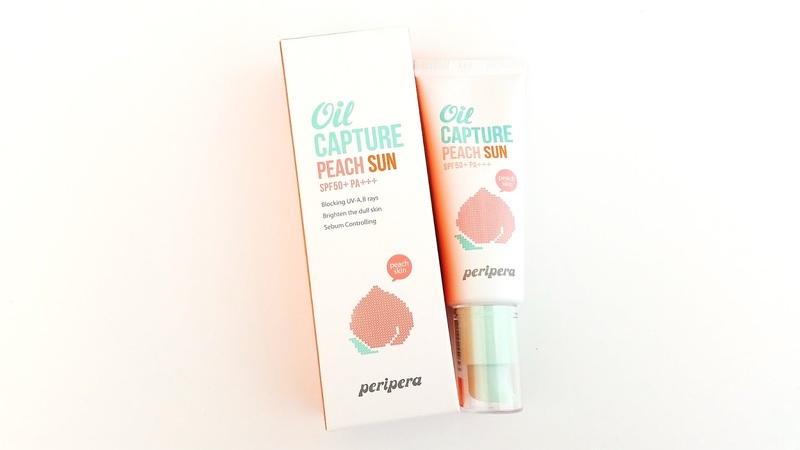 Product Description: The Peripera Oil Capture Peach Sun is a brightening sunscreen. It has sun protection of SPF 50+ PA+++ and can help to control excess sebum as well. This sunscreen can help to enhance skin tone and leave the skin with a soft finish. To Use: Apply it to the skin as the last step of your daytime skincare routine. Ingredients: Purified Water, Cyclopentasiloxane, Ethylhexyl methoxycinnamate, Ethylhexyl Palmitate, Zinc Oxide, CI 77947, Ethylhexyl salicylate, Cyclohexasiloxane, Dipropylene glycol, Titanium Dioxide, Butylene Glycol, Caprylyl Methicone, PEG-10, Dimethicone, Polymethyl Methacrylate, Sodium chloride, Corn Starch, Helianthus Annuus Seed Oil Unsaponifiables, Gossypium Herbaceum Powder, Lauryl, Tris(Trimethylsiloxy) Silylethyl. 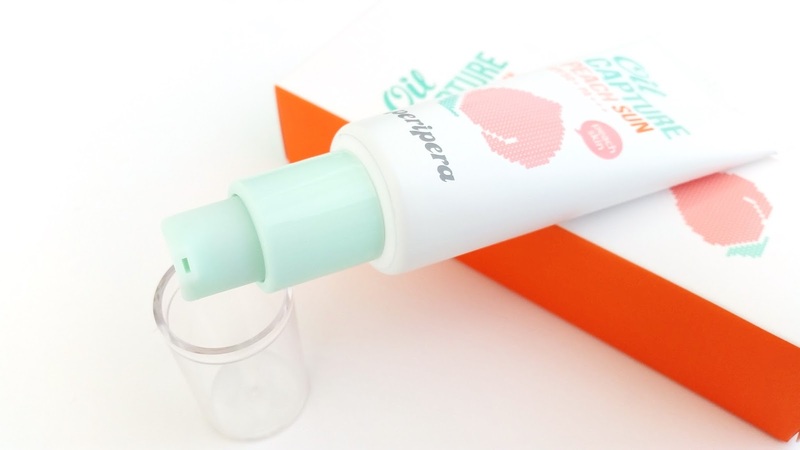 Packaging: The Peach sun comes in a pump tube packaging as seen in the image below. It's easy to use and travel friendly as well. 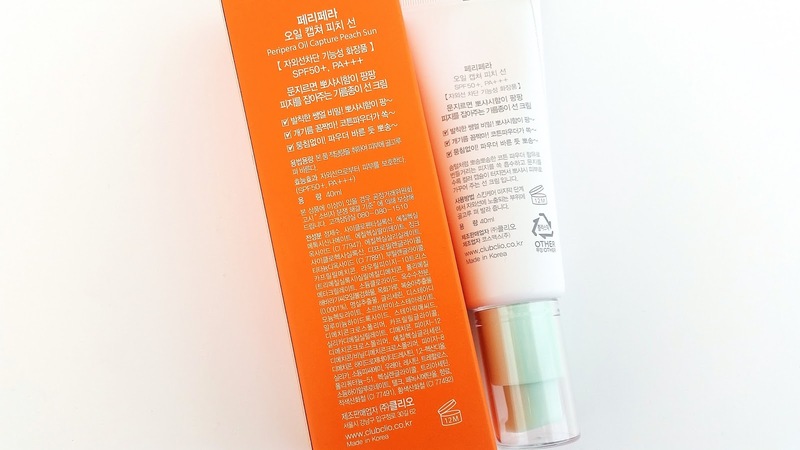 The product also comes with a box packaging as well, with product information in Korean. Scent: Sweet baby powder, slightly peachy scent is probably how I'd describe the scent of this sunscreen. It's more sweet baby powder than peachy but I don't mind, it smells nice anyways. 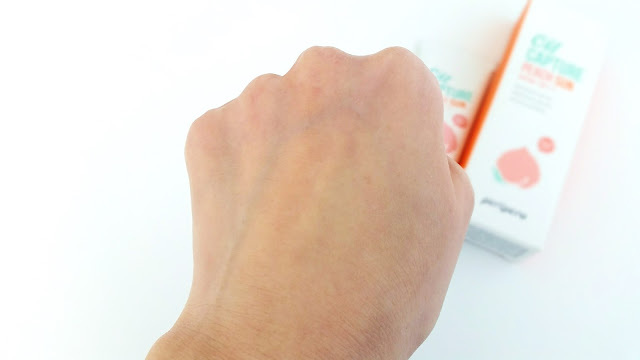 Color: As seen in the picture below, the sunscreen has a super light pinkish peach white color. The color is really more white than pinkish peach though. Once spread out, the color isn't really noticeable and it kind of acts like a pink/peach color corrector as it brightens the skin. This product may not work for all skin tones, as it might look like it's creating a white cast for some. Texture: The sunscreen is like a BB cream or CC cream but more fluid in terms of texture. It's easy to apply and spread. The product also leaves the skin with a soft finish. Michelle's Thoughts: I'm pretty picky with sunscreens, as one should, and there are always a few things I look at when I'm testing a new sunscreen. First is to make sure that it doesn't irritate my skin, because a sunscreen can be the best in the world but if it irritates my skin then it's a no go. Second, does it play well with my skincare/makeup products or does it cause piling? Cause it's got to go in between the two, and if it doesn't play well it won't look good. Plus, product pilling can be a big issue and it doesn't look pretty either. Third, does it leave a white cast? Sunscreens that leaves a white cast are not really a thing of the past yet but a lot of new sunscreens have gotten rid of that issue, which is great. There are a few other things I look for when it comes to sunscreens, but those 3 are the main points. The Peripera Oil Capture Peach Sun passed some of those points but fell short on some too. The first thing I can say about it is that it doesn't irritate my skin. Yay! Although, I think you guys may have already gotten that since I started testing this 2 months ago. Now, does it play well with my skincare/makeup? Well, sometimes. One of the downsides of this sunscreen for me is that it can pill. It's not that it pills every time and it's not really pilling due to a particular product in my routine. It's just the combination of it all on some days that just doesn't work well as others. This is especially true when my skin is really oily. Which brings me to the next point, this sunscreen doesn't control oil as well as it promotes. The oiliest part of my face is my T-zone, the second are my apple zones. 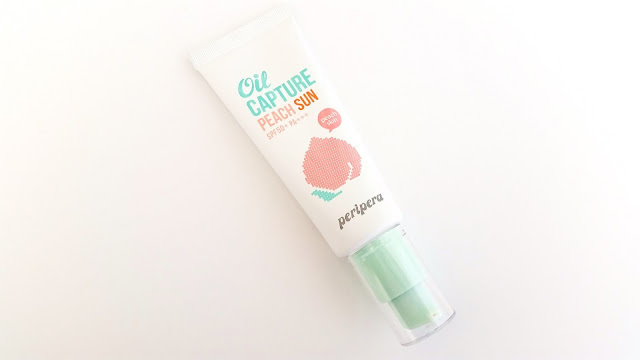 This sunscreen can sort of control my apple zones' excess sebum but it fails when it comes to my T-zone. This is unfortunate, but that's why they made the No Sebum powder right? That things is seriously my oily T-zone's savior. Finally, the white cast. I think for this sunscreen, the white cast issue will differ based on skin tones. The overall is that it can cause a light white cast but it's not really noticeable on certain skin tones, such as myself. 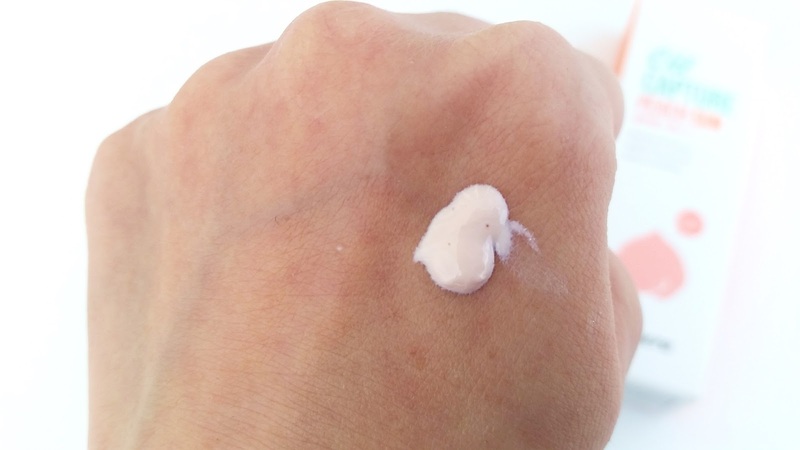 I'm about NC 20 by the way, the white cast it's light enough and mixed with its pink/peachy brightening color that it just makes my skin look slightly brightened. That might not be the same for all skin tones though. So test it out before you wear it out. Final Thoughts: This is not the best sunscreen I've ever tried but it's not the worst either. It fells short in a couple of my needs but it offers some amazing benefits as well. 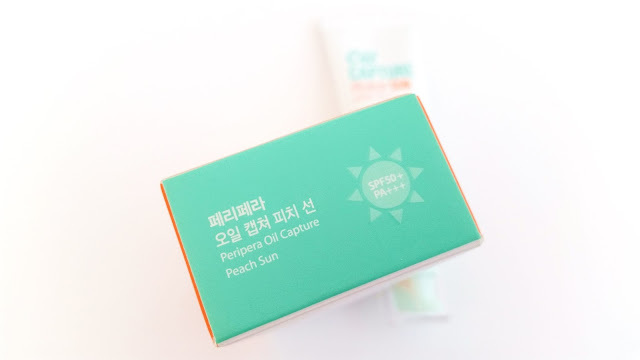 I liked that it has SPF 50+ PA+++, can brighten the skin and evens out skin tone. I was disappointed by the potential pilling and the lack of sebum control as opposed to what was promised. Would I repurchase it in the future? Probably not. I'm glad I gave this a try but it's just not for me. Do I think this is worth a try? A lot of the issues I have with this sunscreen seems to be due to the excess sebum. So, maybe if you don't have oily skin, you might have better luck with it? 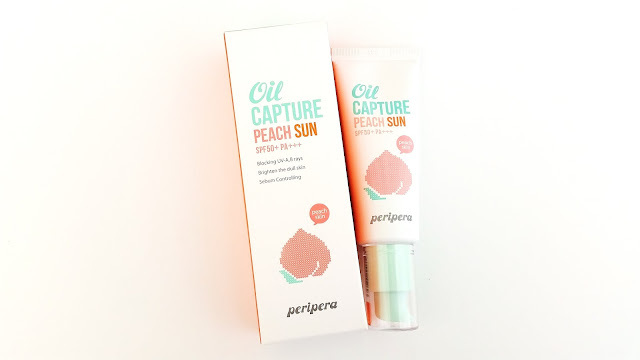 Have you tried this sunscreen from Peripera? Did you have better luck with it? Let me know in the comments below!